Why would a chemist want to measure conductivity? Most practical applications of solution-conductivity measurements involve determining the quality of water samples. Conductivity measurements can provide a measure of the total amount of dissolved solids in a water sample. This information can be put to use in different ways, depending on the context, but in general it provides a measurement of the purity of the water. Chemists sometimes use a method called ion chromatography, which is a type of liquid chromatography (LC). Ion chromatography often uses a detector that measures conductivity to detect when different analytes pass through the detector. 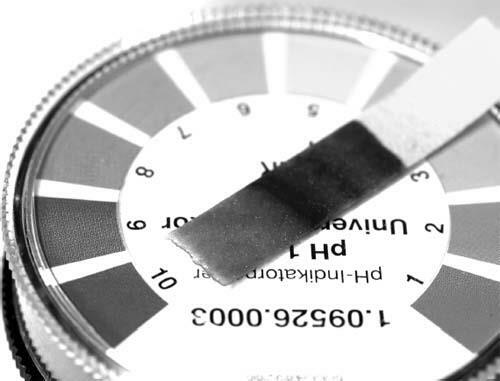 A simple way to test the pH of a solution is with pH paper; the color of the paper is then compared to samples that show how acidic or alkaline a solution is.